ResearchMatch.org is a national online recruitment tool, funded by the National Institutes of Health and maintained at Vanderbilt University. UConn is part of the ResearchMatch Network. ResearchMatch connects researchers with individuals interested in volunteering, through its secure, online matching tool. There is no cost to UConn researchers to use ResearchMatch. There are currently over 130,000 (and counting!) volunteers across the country that are registered with ResearchMatch. Click here to register as a researcher: https://www.researchmatch.org/researchers/. You do not need to be a Principal Investigator to register. The registration process takes less than 10 minutes and when you are finished, you will be granted “feasibility access” to view aggregate data regarding the current ResearchMatch volunteer population. You will be able to see the demographic and health information breakdown for the volunteers within a designated geographic area. The Vanderbilt IRB provides oversight for ResearchMatch as a recruitment tool and this has been documented within the ResearchMatch IRB Letter of Understanding (available upon request), but to use ResearchMatch as a recruitment tool for a specific study, you will first need to get UConn IRB approval. You may include the following language to describe ResearchMatch as a recruitment method: Potential volunteers will be contacted by ResearchMatch with IRB-approved recruitment content for this study, not including direct study contact information such as study phone number. Volunteers will then have the option of replying ‘yes’ or ‘no’ through a set of quick links available in the recruitment message. If a volunteer chooses to respond in the affirmative, they will authorize ResearchMatch to release their contact information to the PI (or ResearchMatch designee) who will be responsible for managing that information according to institutional guidelines. Include your ResearchMatch recruitment message in your IRB submission. The recruitment message is the content of the email that ResearchMatch will send on your behalf to potential participants. Please note that your recruitment message sent via ResearchMatch must not include your direct study contact information (email or phone), and must not exceed 2000 characters. If the study involves in-person participation, you may want to include the geographical location of the study site. If you intend to include healthy controls, specify that in your recruitment message, otherwise, a healthy control volunteer may decline participation. 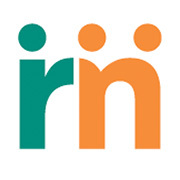 Once ResearchMatch is approved as a recruitment method for your study by the IRB, you may then request “recruitment access” in ResearchMatch, which will allow your recruitment message to be sent to potential participants that you select. If a potential participant agrees, you will then have access to his/her contact information in order to contact about possible study participation. You will need to upload your IRB approval letter to gain recruitment access. For any questions about ResearchMatch, please contact Ellen Ciesielski at 860-679-6004 or email eciesielski@uchc.edu.